This year in particular, I’ve seen an increasing number of users’ email account credentials become compromised, which has allowed spammers free reign to use their mail server to send spam out to the Internet. The usual result is an overflowing outbound mail queue, thousands of bounce messages coming in and your server’s IP address being blacklisted. The first thing to note is that if your company has an email server, you should assume that spammers will always be trying to hijack users’ accounts by guessing their passwords. In this post I will run through a few simple pro-active settings checks that can reduce the chances of this happening and – in the unfortunate event that it does happen – can limit the resulting negative effects. Make sure that all your accounts have strong passwords that cannot be guessed by spammers and that, ideally, are not used elsewhere. Don’t use the same password across multiple accounts and definitely avoid setting the password to match the account username – both situations are asking for trouble! Relaying is where email is neither to or from a local user. It’s very rare that you ever want to allow your server to relay mail. 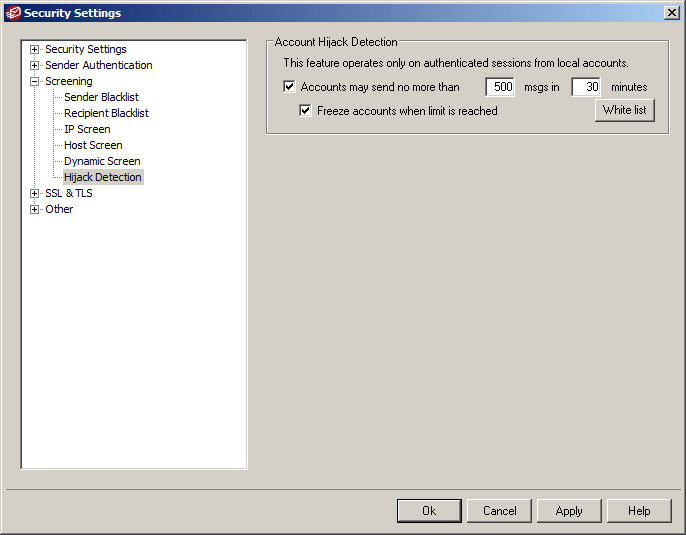 These settings also ensure that any email sent or received is only sent from addresses which exist on the server. The IP shield enforces the requirement that email being sent from local addresses must originate from specified IP ranges (the defaults include all the standard IP ranges reserved for internal use). 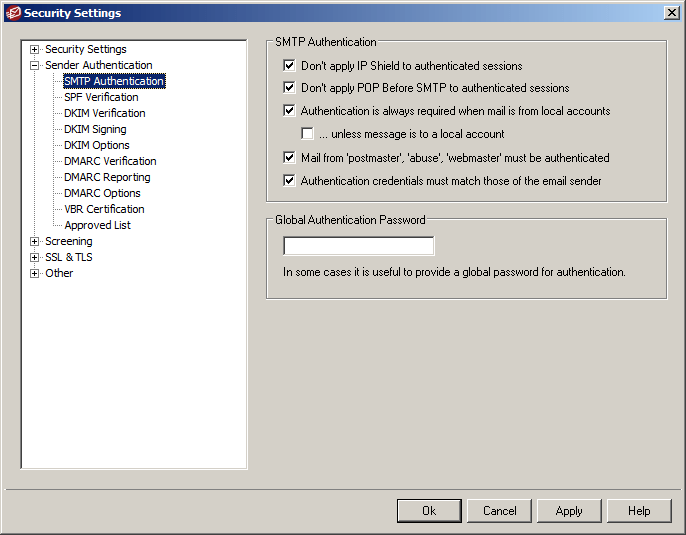 Authenticated users bypass this requirement (needed if the user is sending email from outside the local network). 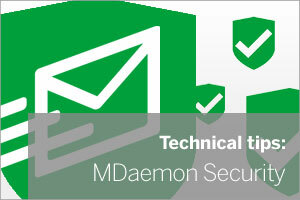 Enforcing SMTP Authentication as much as possible is a good thing in all cases. It’s only in very rare situations that you would want to relax these requirements. Dynamic screening monitors for suspicious activity and dynamically blocks connecting IP addresses for a period of time which is very effective in limiting spammers’ ability to hijack your users’ accounts. This feature simply freezes any accounts which start sending a high volume of email in a set period of time and is useful in limiting problems caused by accounts which have already become compromised. Obviously, if you do have accounts which legitimately send large volumes of email, then you will want to whitelist them. Hope you found that useful – as always, if you have any questions or comments, please feel free to leave them below. Most bruteforce attempts in our logs have used unencrypted POP3, presumably on the basis that the same password will usually work for SMTP, and hence spam relaying. Most people use IMAP these days, so if you don’t need POP3, disable it and block port 110. If all of your remote mailclients are suitable you could take this a stage further by allowing only the SSL/TLS IMAP ports. On your broadband router/firewall set outbound filtering rules making your mailserver the only inhouse computer allowed to connect to port 25 on Internet hosts. Then, if an internal computer does acquire malware it will be unable to bypass the mailserver and send spam directly. Passwords containing capitals and punctuation are a big problem for users of mobile touchscreen devices. 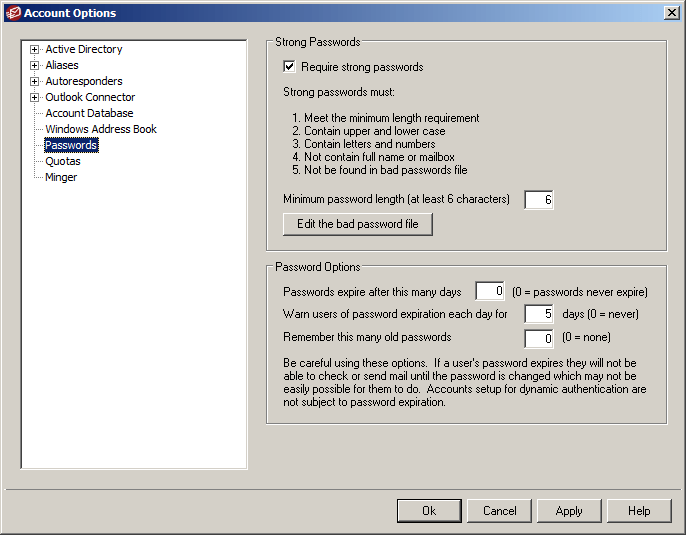 A passphrase is a better idea. Last but most importantly, don’t post your email address on webpages. Use a contact form instead, or at least protect the address from robot harvesting. Apart from the inbound spam problem this causes, a bruteforce attempt is less likely to succeed if the hacker has to guess both email address and password, instead of just the password.